Alhamdhulillah another beautiful time of year for Muslims, the season of Hajj is upon us. In the last couple of weeks, I’ve heard news of lots of relatives and friends who are off to hajj. A feeling of immense joy enters the heart with news of Hajj. Firstly, because memories of my own Hajj come flooding back and secondly, I keep remembering Ibrahim (as). 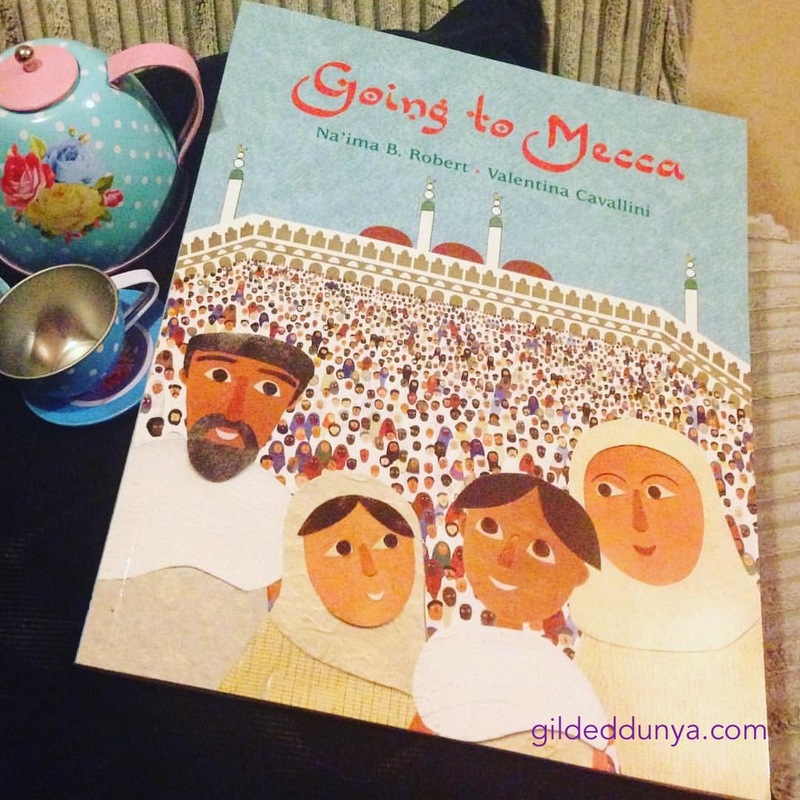 For those of us who are not performing Hajj, the ten days of Dhul-Hijjah are important to us too* and that’s why I wanted to introduce Hajj and the Ka’bah to my daughter this year, at this time of year. She’s talking a lot more now. Some things she says very clearly, but most words she makes up, especially Arabic words – but Alhamdhulillah it all sounds adorable, she calls the Ka’bah, ‘kabadah’. 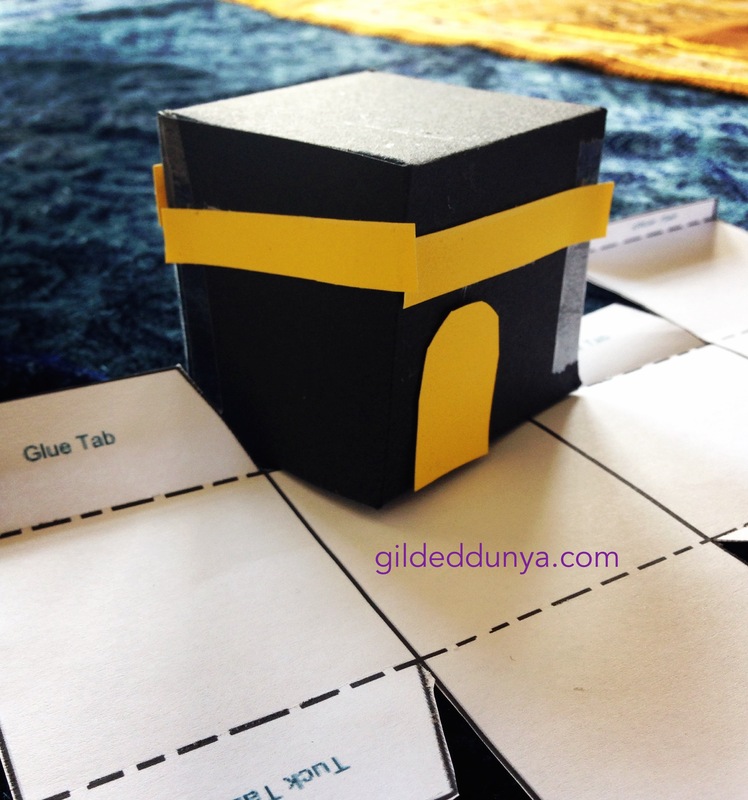 Here are some of the things we’ve been doing to learn more about the Ka’bah and Hajj. I want to express here, that, this is purely to expose a child to the concept of Hajj and pilgrimage and it is not to teach her everything about it. I am completely aware of the fact that she is far too young to actually understand what Hajj means. But this is more to learn that there is such a thing as Hajj and how it all looks. Make Tawaf and sa’i once more. They have made it to the shore. And every limb is sore. 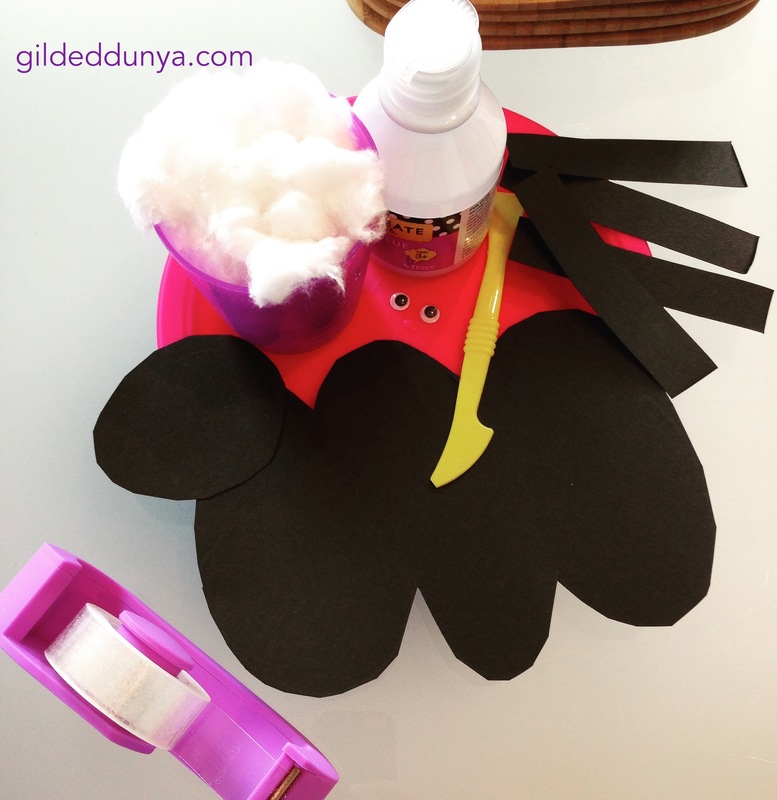 This was such an easy craft but definitely one that we enjoyed. 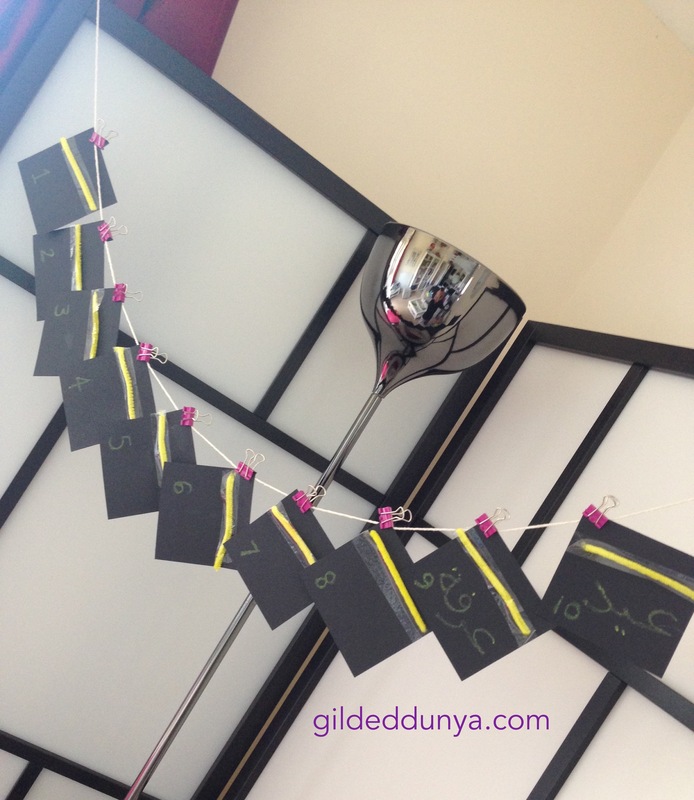 I cut out 10 pieces of black square cards and asked Y to stick some yellow pipe cleaners on each. I’ve put numbers on them and they will be our countdown to Eid ul Adha inshaAllah. Whilst we cut the card and glued the pipe cleaners, I showed Yusra pictures of the Ka’bah from the above book and also from the Internet. She was very excited to copy the pic. This was my daughter’s most beloved craft. With some cotton wool, card, glue and tape, Yusra made a sheep. We’re calling it our Qurbani sheep. She’s been talking to it a lot and every time she does, I remind her that it’s a special, healthy sheep that is for Qurbani on Eid. (She has no idea what I’m talking about, but I like that we talk about it). Like most little girls, Y loves colouring, and she takes great pride in it too. So I found couple of images online and printed it off for her. 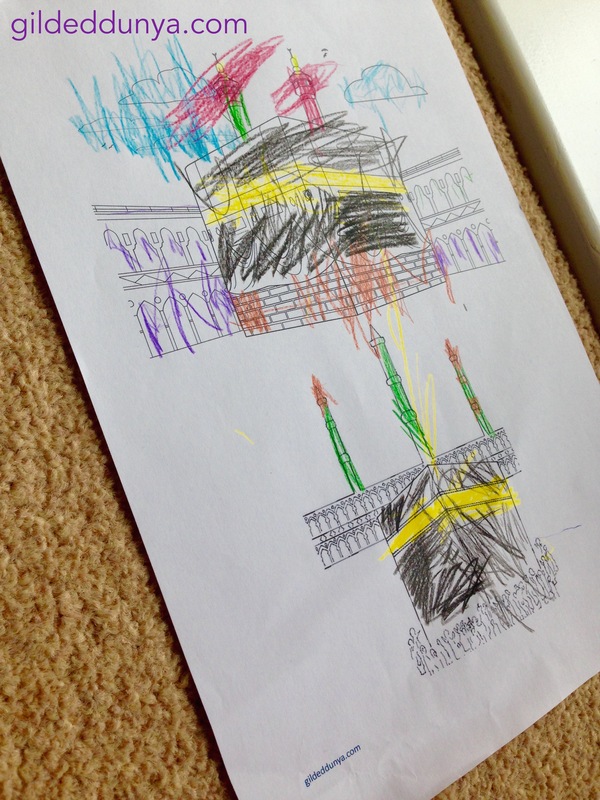 She loved using her crayons and pencils all over the colouring page, and I sat with her talking about my own experience of seeing the Ka’bah for the first time. I wrote about it that night as an Instagram post. We are still maintaining minimal screen time at home. It’s not been long since we put our TV away, so I’m very weary about how much screen time she gets a day. The main reason for this is that I don’t want her to think that the iPad has replaced the TV. But I’ve shown her a couple of videos of Hajj on Youtube and her reaction to them was “Mummy, too lots people are hajj-ing”. So I think she understood what hajj looks like. 🙂 – You can search Hajj for children/kids and lots of short videos come up. We go to the library a lot. But this time, I thought why not make our library trip a little more interesting and a little more memorable. Nothing too different or special, but this time when we went to the library, we looked specifically for books related to Hajj. Our library is good, but not fantastic, so we walked around, calling out, sometimes a little too loudly, “Kabadah, where are you?” We managed to find a couple of children’s encyclopaedias with pictures of the Ka’bah in them. That was enough to get Yusra interested in how the Ka’bah got inside a ‘lybelly-book’! All the things we did are very simple and not detailed at all. I know that for older children, each one of these activities can be enhanced and made to mean more. For a toddler, I felt this was just the right amount of activities. We had lots of fun and alhamdhulillah I was able to talk about something so dear and important to Muslims. Whilst doing these little bits, I actually learnt a lot too. It wasn’t a learning of new things, but I learnt a big lesson in how important Hajj really is for a believer who has already performed it. Before we make Hajj, we prepare ourselves. We read about what we need to do and we go with an eager heart to fulfil an obligation. But what happens when we return? What is our responsibility to ourselves after we’ve completed it? 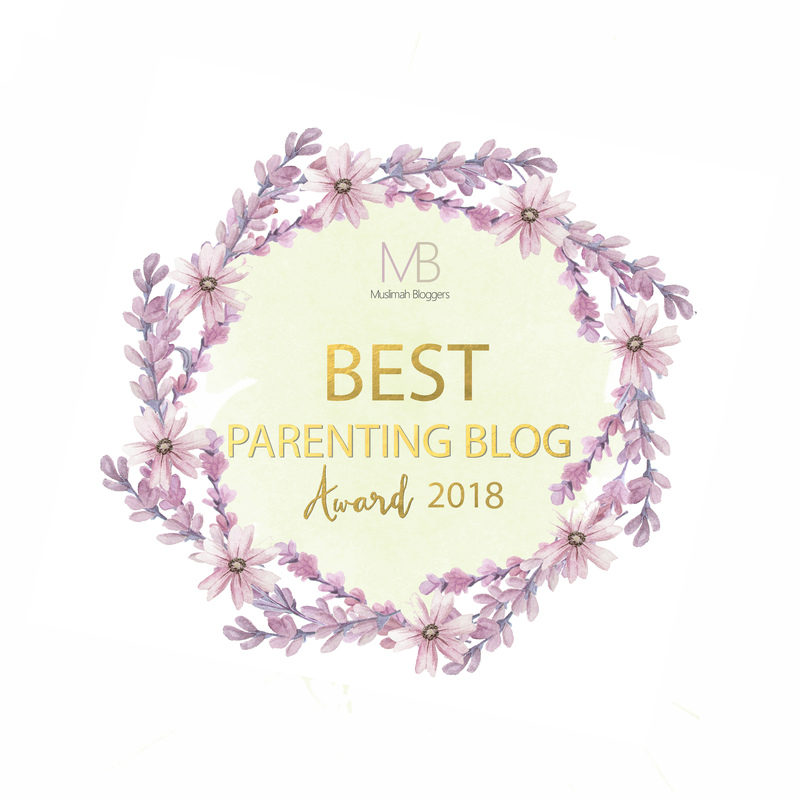 These are the thoughts that came to mind whilst I spent time with my two year old, trying to engage her mind in knowing the Ka’bah. So these small tasks can mean a lot more than what they start off to mean. I make dua Allah accepts the Hajj of all those that have made the journey and I make dua that Allah helps the rest of us make the most of the special ten days. Ameen. Masha Allah nice work. jazakAllah for sharing thins one in sha Allah I will do this one with my son hopefully. Masha Allah this article is so good that I think every Muslim should read it especially those who intend to perform hajj this year. May Allah reward the writer for his good work. Ameen.